Camp on the “Arkansas,” June 27, 1847. 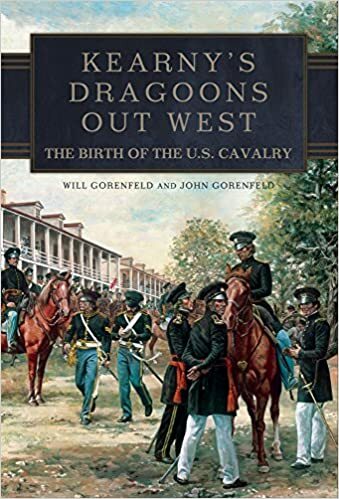 Sir: I have the honor to report, that company “B,” 1st dragoons, marched from Fort Leavenworth on the 7th instant, to join the army in New Mexico, escorting some three hundred and fifty thousand dollars– government funds. On our arrival at “Pawnee Fork,” (about three hundred miles from Fort Leavenworth,) we found two “trains” of wagons bound for Santa Fe, and one returning to the United States. The day before our arrival, one of the “trains” for Santa Fe, and the one for the United States, (encamped about one mile apart,) were attacked by the Indians, supposed to be either Pawnees or Osages– (each tribe receiving an annuity.) All the oxen of the return ” train” were driven off and killed in sight of Pawnee Fork. One man of Mr. Wethered’s trading party was severely wounded lanced in five or six places. I at once determined to travel with the trains for Santa Fe, and give them all the protection in my power. Our first day’s march from Pawnee Fork brought us on the Arkansas river, where we encamped; one train a quarter of a mile from the river; the other nearly the same distance from the river, and three or four hundred yards from the first. With my company I encamped on the bank of the river between the two trains. On the morning of the 26th– just as the oxen of the first train were turned out of the coral, (a pen formed by the wagons,) the oxen of the second about turning out to graze, and the horses of the company were picketed– the Indians made their appearance a half mile distant, in full chase after the oxen.– The herdsmen used every effort to drive the oxen back into the coral; but, unable to do so, placed themselves between the oxen and Indians, hoping to prevent their being driven off. The Indians charged boldly amongst the oxen, frightened them, and drove them into the prairie; wounding in the charge two or three herdsmen. As soon as I saw the Indians, I ordered the company to saddle. Some Indian, seeing my intention to pursue, immediately appeared on the opposite bank of the river, numbering fifty or one hundred men. 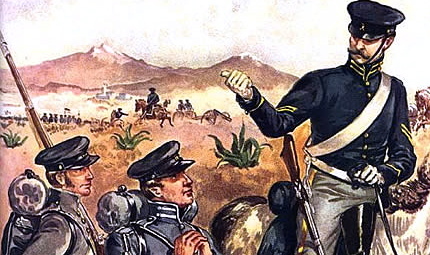 It now became necessary for me to protect our own camp; I therefore dismounted all but 25 men I ordered, under Sergeant Bishop to pursue the Indians, and recover the oxen proven weight loss supplements.– When the sergeant arrived in the vicinity of the oxen, the Indians swarmed in from all directions, and completely surrounded his platoon; he charged fearlessly amongst them, but our horses being wild, and unaccustomed to the yells of the Indians and shaking of blankets, (all done to frighten the horses,) could not be held by the riders. So great was the number of Indians– supposed to be three hundred on the north side, and two hundred on the south side of the river– that all hope of cutting a way through to the oxen was abandoned. It is with the deepest regrets that I have to report five of our best men killed: privates Arledge, Dickhart, Gaskill, Short, and Blake; and Sergeant Bishop and five men wounded. Sergeant Bishop (who so gallantly led the charge) and privates Lovelace and Vankastar are severely wounded; privates Bush, Wilson, and Ward slightly. With pride, I call your attention to the gallant conduct of this platoon of the company, as shown in the list of killed and wounded we have no means of telling, as their dead were carried off the field. The oxen of one train having been driven off, I have encamped both trains together, and shall remain with them until enough trains together, and shall remain with them until enough trains arrive to take the government property to Santa Fe. I would respectfully call your attention to the fact, that it is the determination of the Indians, headed (as I have every reason to believe) by white men and Spaniards, to destroy all the government property in their power. It would seem at first sight that one company of soldiers ought to be enough to secure any number of oxen and mules from spies to watch our movements, never attacked unless by the Indians, but, sir, you must reflect that the animals of a train have to be scattered over a large extent of country for grazing; that in an attack, it is nearly as much as a company of dragoons can do to prevent their horses from taking a “stampede;” that the Indians, thoroughly acquainted with the country, and constantly having everything is in their favor; that being the most expert horsemen I the world, they are enabled to make an attack, alarm the animals, and be out of sight in an incredibly short time. You can judge, when from the time they were first seen approaching on the 26th, until they had the oxen over the river and out of sight, was not more than half an hour. The only way, then, sir, to insure safety to public property on this road, is, in my opinion, to station about 300 mounted men at Pawnee Fork, 300 near the crossing of Arkansas, and 300 more at or near the upper Cimeron spring. These troops to have their permanent encampments at these points, but to scour the country in all directions, and at least keep the Indians in check, or they cannot catch them.– Scarcely a party has crossed the prairie this spring in summer without being harassed by them. I deem it my duty to make this report to you, believing a proper representation has not been made to you of all the outrages committed by the Camanches and other Indians during the last six months; and to represent the importance of taking active measures to insure safety to the provision trains. There was a fort or depot established by the quartermaster’s department near the crossing of the Arkansas; but this was worse than useless, as the Indians kept the few men there penned up, and have eventually succeeded in compelling them to abandon and burn the fort. This I learn from a wagon-master. The only way to deal with these Indians is to station a force in their country, to pursue and whip them for any misconduct. lieut. 1 dragoons, comd’g. comp. B. Next PostNext Newport Barracks 1847: "Our condition is very unpleasant"